Contact our friendly team today for a chat and to answer your questions, or complete the enquiry form below. 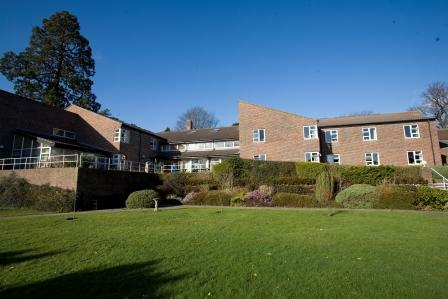 Oakwood Court is a spacious purpose built care home close to Haywards Heath town centre. Our home accommodates 35 residents and has a large comfortable lounge and a bright and airy dining room where residents enjoy a variety of freshly home cooked food. We have extensive gardens and a spacious patio. We have a smaller lounge which is ideal for families to use privately and also a mezzanine floor for those looking for a quieter space. 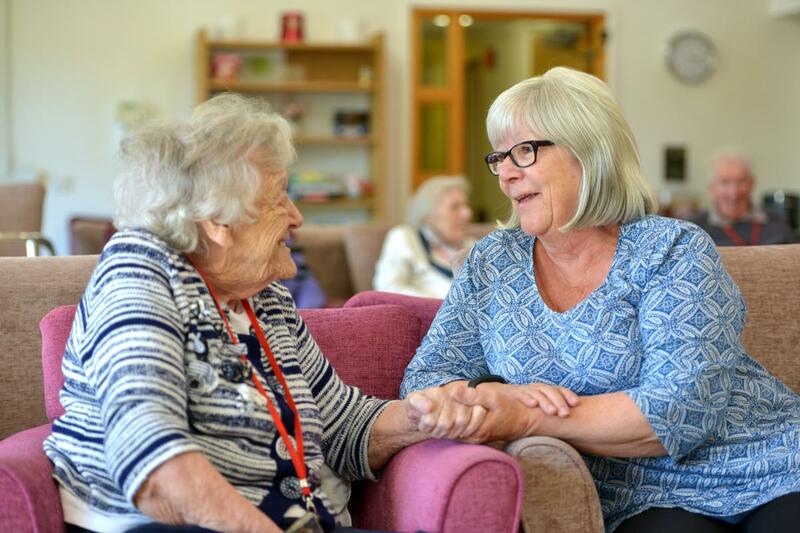 Our mission is to help people live their later life to the full and that’s exactly what we do here at Oakwood Court. 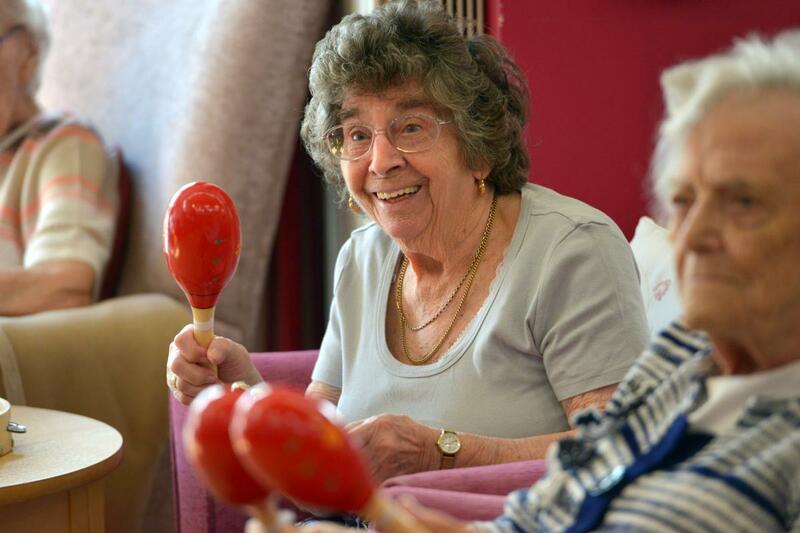 We have a daily activities programme which promotes independence and encourages residents to enjoy their life long hobbies or try something new. 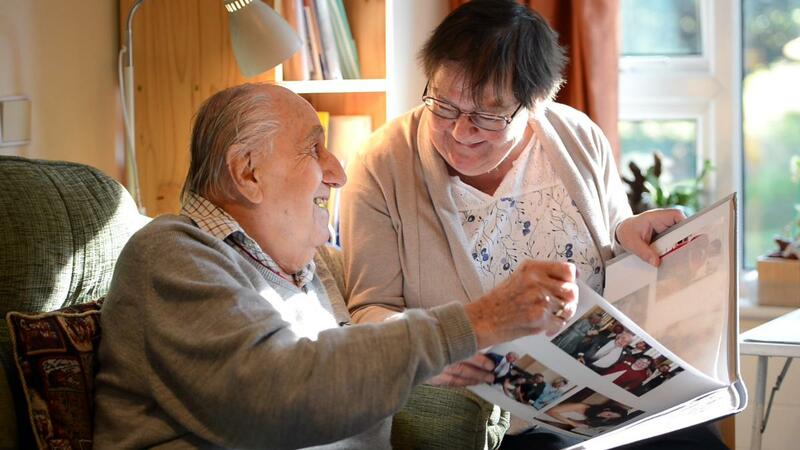 Each resident has a personalised care plan tailored to meet their needs. We offer short and long stays, end of life care and are dementia friendly. We are delighted to have been awarded a ‘good’ rating by the CQC and a 5* score for food hygiene. We want residents to treat Oakwood Court as their own home, so they can welcome visitors at any time, along with pets and enjoy visits outside of the home. We are proud of our gold award from the RSPCA for our pet policy. Please come and visit us to have a tour of the home and meet our friendly staff and residents, you’re welcome any time. 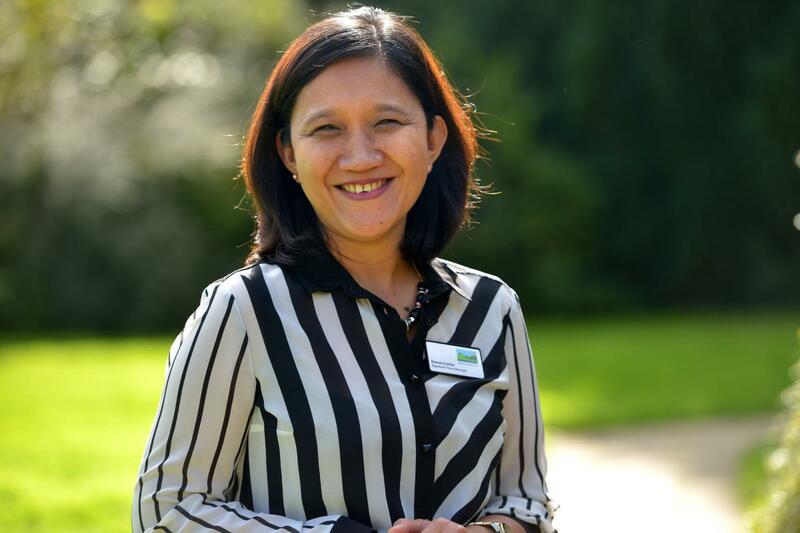 "I have worked at Oakwood Court for 11 years, and have been manager for three years. I get satisfaction from helping residents and seeing them happy in our home. I have a BSC in Nursing, Level 3 in Health and Social Care and a Level 5 in Leadership and Management of Care Services. We have both male and female care assistants and also have staff who can speak a variety of languages. Our food is freshly cooked every day by our on site catering team." At Oakwood Court we have a range of roles including; a deputy manager, administrator, senior care assistants, care assistants, chef manager, cook, kitchen assistant, domestic, laundry assistant, handy man and activities co-ordinator. All of our employees receive manditory training and have DBS checks. You are welcome to visit our home to meet our friendly team and residents. You can turn up at any time, but if you'd like to make an appointment please contact the home directly or complete the form below. *This is a mandatory field. Would you like to receive information from Sussex Housing & Care, including newsletters and occasional emails about our homes and special offers? You can unsubscribe at any time. All inclusive pricing - Our care fees include all accommodation and household bills, personal care, all meals, snacks and non-alcoholic refreshments, and the cleaning and laundry service. Extra services can be purchased as required, such as telephone, hairdressing and chiropody. Assess your situation - Some people have the resources to pay for their care in full and others make means tested contributions. 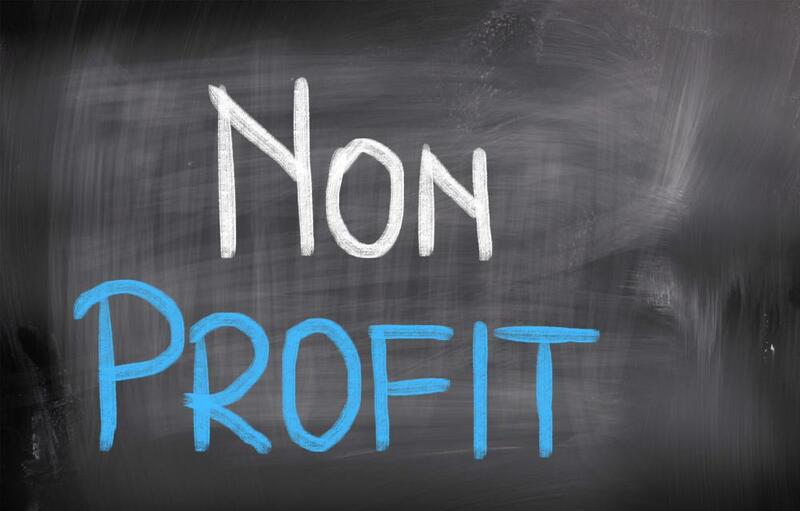 There are national limits that determine eligibility for funding assistance which are set by the government and are subject to change, so we advise you to check current figures when choosing a care home. Paying for care yourself - People who pay for their own care can contact our care homes directly to arrange viewings and request a room. We conduct a needs-based assessment to make sure we are able to meet the person’s needs. We advise that you thoroughly read through the contract before signing and make sure you are clear about what you are paying for. Requesting support - If you need to request care home funding support you firstly should speak to your GP and local Social Services department about care home fees. 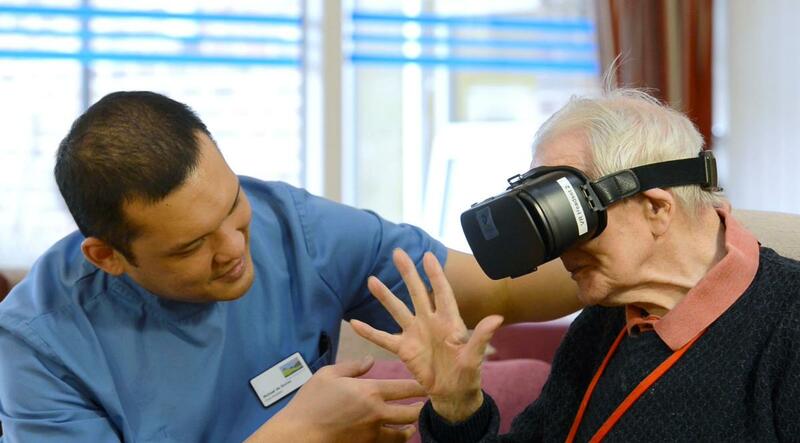 You will then have an assessment of your care needs and a financial assessment. All of this information will be used to decide how much you can afford to pay towards your care home fees, and how much the council will contribute. Suitable care homes will then be suggested for you to consider. Top-up fees - You are able to choose other care homes but you may be expected to find a way to cover any difference in cost. A third party can ‘top-up’ and contribute to any extra cost. If you have any questions our care home managers will be happy to speak to you. Our preferred method of payment is by direct debit. If you are planning a short respite stay at our care home the payments will be made weekly in advance. If you have any questions about paying for care, our friendly care home managers would be happy to answer your questions. Here is the brochure for Oakwood Court care home. This summarises the information on our website so you can easily share it with friends and family who might not be able to access the internet. It also includes a useful checklist for looking around a care home. 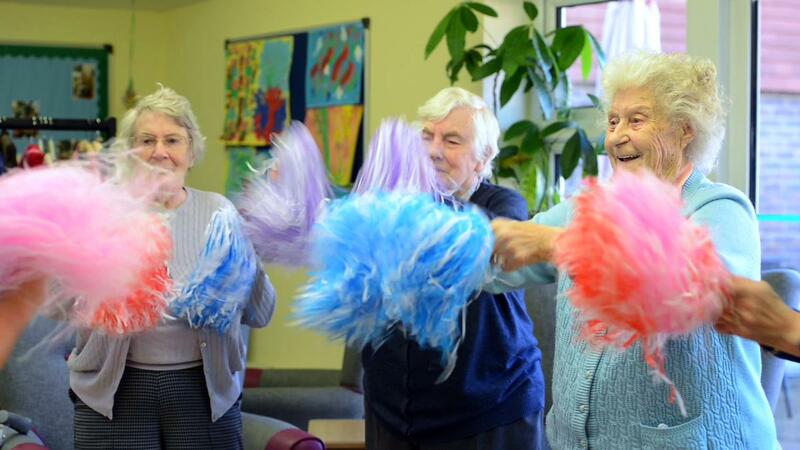 Our mission, to help people live their later life to the full, means we place great emphasis on our daily activities. We know how important activities are for the wellbeing of each resident and their quality of life. Activities are arranged each morning and afternoon, in addition to residents coming together to socialise or enjoy hobbies of their own. Our activity programme is regularly changed to reflect the choices of our current residents. Residents enjoy trips out and spending time in the grounds surrounding each home. We know that meal times are an important part of the day for our residents and we take great pride in offering a seasonal daily menu which has a selection of delicious, nutritionally balanced meals throughout the day. Residents choose on the day what they would like from the menu and the chef prepares all meals with fresh ingredients. We cater for individual dietary requirements and personal preferences, and we’re proud to have been awarded five stars for our food hygiene. 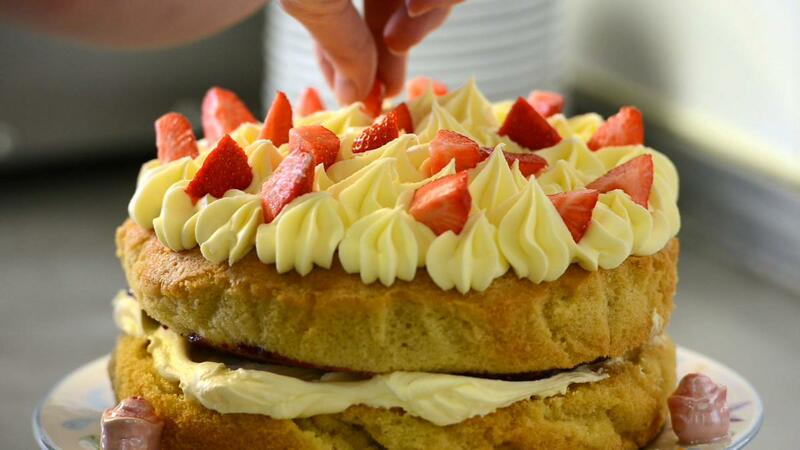 We serve refreshments including tea, coffee, biscuits and homemade cake each morning and afternoon. We have a fruit bowl and juice bar for residents to enjoy throughout the day. 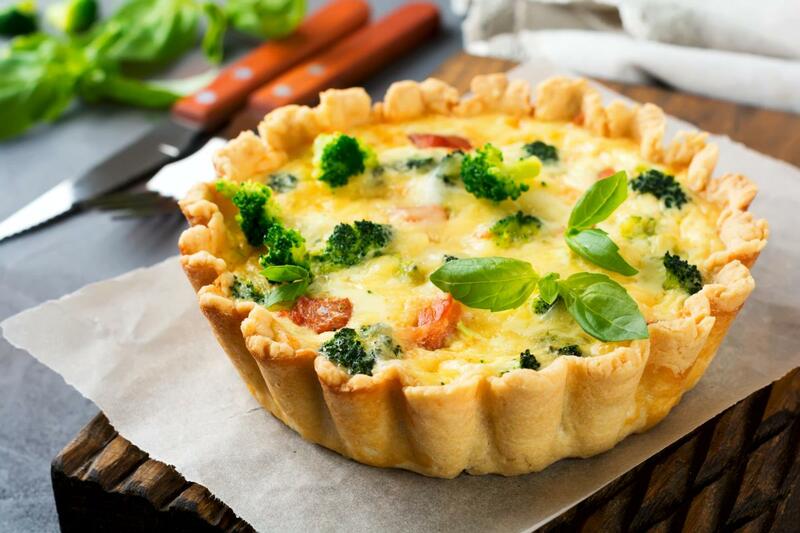 Residents meet regularly with our Chef Manager to give their feedback and make suggestions for new menus. All four care homes have a 5* food hygiene award. If you or your loved one decide to make a permanent move into one of our care homes you will have your own room. We encourage residents to personalise their room with their own belongings so they can create a homely feel and make it their own. For example, you can bring your own bed, furniture, chairs, pictures and television. The majority of our rooms are en-suite and we also have a few double rooms which can accommodate two people. Each room has a telephone connection so residents can have their own landline number and wi-fi. We also have guest wi-fi access throughout our care homes. Every room has a television aerial and an emergency call system in the bedroom and bathroom. We also offer residents a pendant to wear which is linked to the call system. Resident meeting - Our residents meet regularly with our care home manager, they share feedback, staff updates and plan events. Catering meeting - We hold catering meetings with our chef manager so residents can feedback about our dishes and make suggestions for the menu. 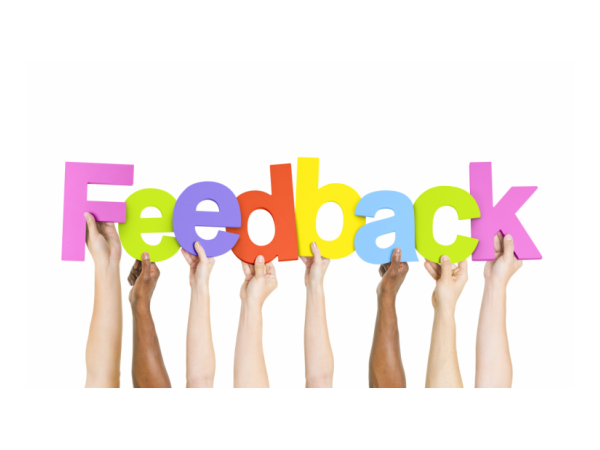 Resident satisfaction survey - Every year we formally ask residents for their feedback in a questionnaire. This is annonymous feedback about all areas of our service. Relative satisfaction survey - It’s important that relatives or next of kin have the opportunity to share their feedback too. We conduct a questionnaire with relatives every year about our service. Keeping our residents, employees and properties safe is a priority. Access - We have a door entry system at all of our care homes, this means that staff speak to anyone before they enter the building. Visitors should always sign in and residents have a in/out board to use. The doors are opened using a door release code and the nurse call system will alert staff when any other external door has been opened. We encourage our residents to live independently and have access to our lovely gardens, however, we monitor this access to make sure it is appriopriate. Safeguarding - All of our employees complete a safeguarding training course to make sure our residents, who can be velnerable, are treated with respect and not abused or neglected. 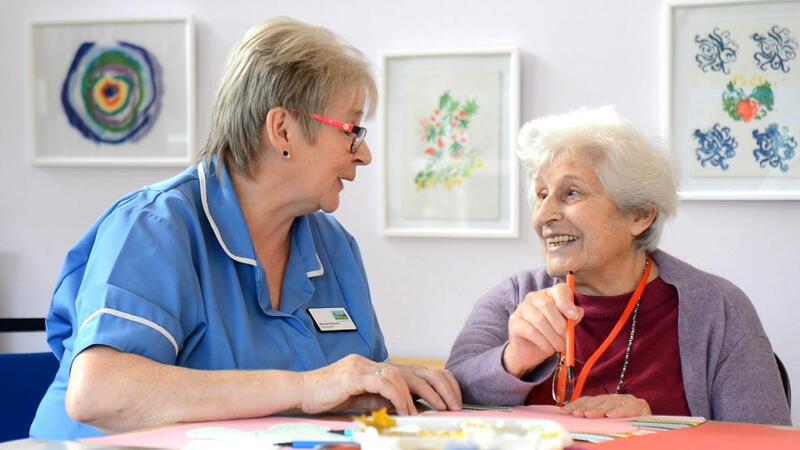 We are regulated by the Care Quality Commission and work closely with our local partners. 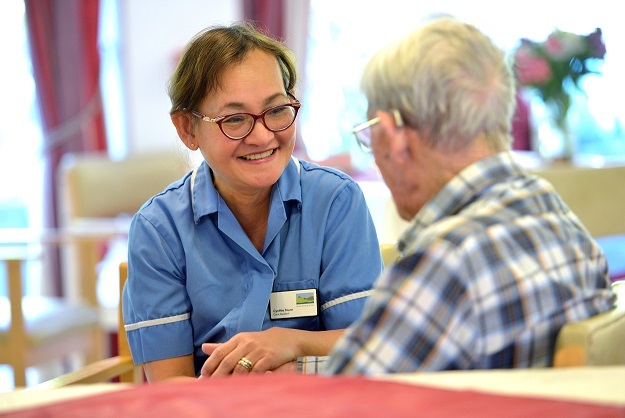 All of our care home employees have manditory training and a DBS check when they start employment with us. Health and safety - We carry out regular health and safety checks in our care homes to make sure our property is safe, risks are reduced and our equipment is in good working order. Monthly checks of; fire extingushers, fire doors, electrical items and cleaning smoke detectors and completing a fire drill. Quarterly fire risk assessments and fire risk audits are carried out. Every year we have our electircal equipment PAT tested. Internal and external environmental checks. Condition of garden furniture assessments. Emergency lighting and nurse call system. Checking first aid boxes, window restrictors and wheelchairs. We are very proud to have received a platinum award from the RSPCA for our pet friendly policy and we embrace the difference pets can make to our residents. We are in our fifth consecutive year of winning a Housing Footprints award. This accolade shows that the RSPCA recognise our approach to promoting responsible pet ownership and how we acknowledge the positive difference animals can make to our residents. We have 109 pets living among our 800 residents, the majority of which live with residents who occupy our rented sheltered housing and leasehold properties. 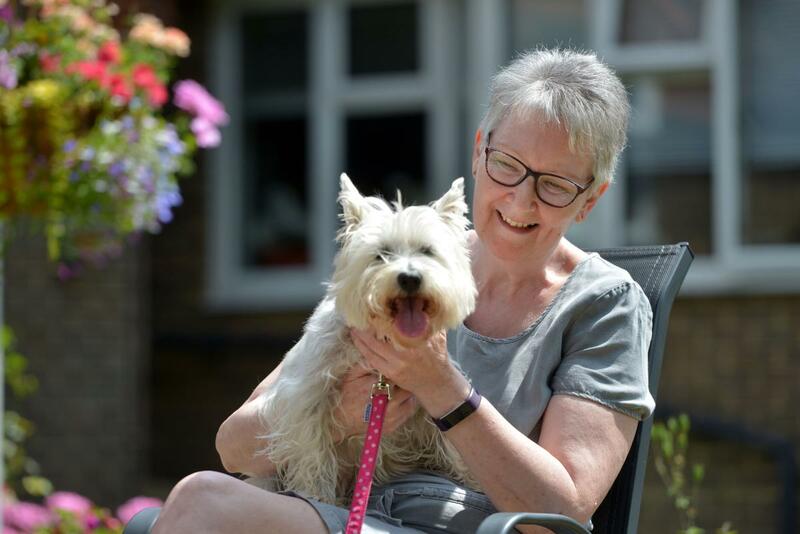 "I had just lost my husband when I needed to move home so it was really important for me to find a housing association that was dog friendly so I could bring Lizzie, my west highland terrier, with me. I couldn’t bear to lose another member of my family. Resident from Nevill Court, Crowborough. This means that any surplus in income is invested back into our properties to improve the quality of life of our residents. 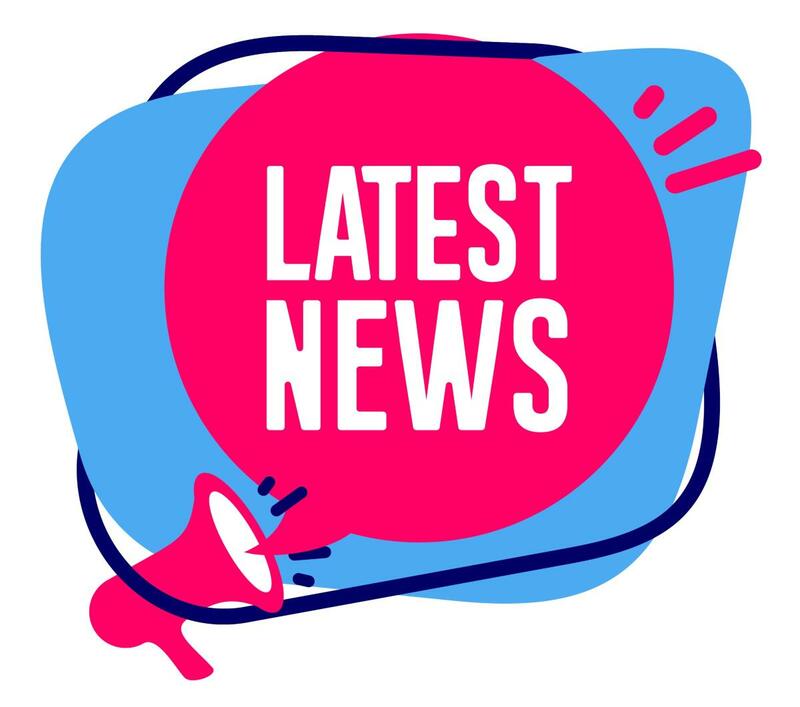 Read the latest news from Oakwood Court and Sussex Housing & Care on our news page.